The currency of hype, the elephant in the bedroom of contemporary music writing, is difficult to schematize, but I would say that it roughly equates to word-of-mouth, plus the apparatuses of journalism, plus a special x-factor. Most bands associated with the h-word have x-factors that involve an aggregate of various extra-musical marginalia, like shticks, fashions, geographies, back-stories, unifying visual aesthetics… the stuff that we writers use to fatten our paragraphs and self-aggrandize our profession without having to go through the trouble of listening to anything too closely. Unless you count cryptic internet press-releases, fake names, and optical illusions (I might not blame you), Animal Collective dropped most of their serious shtick when they stopped wearing masks. Their x-factor is a rare one: they make fantastic, unique, relentlessly singular records with a regularity that suggests an enchanted acumen. You probably don’t need me to tell you that Merriweather Post Pavilion is yet another of these. So why are we so excited? When are we going to start taking this band for granted? Like the nuances of hype, the consensus that creates “universal acclaim” is impossible to telegraph, yet the sacrosanct merits of universality pervade the way that we talk about music. Ergo, Fleet Foxes: the grounds for this record’s copious year end accolades seem more firmly rooted in its alleged universal appeal than in the quality of its music. Certainly the nature of the music is factored in, with the album being touted as a time capsule from a great American past that no one has ever experienced but have somehow remembered upon hearing. The underlying assumption is clear: the essence of Fleet Foxes resides in Plato's realm of the forms; we all know it when we hear it, even if we can't put our finger on it. A question, if I may beg: what came first, the acclaim or the (instant) classic? The first song on Merriweather Post Pavilion is called In the Flowers and it begins with a vision in passing: Avey Tare is on his way home when he spies a boy, stoned and care free, dancing in a field. Where this scene might normally typify the AC aesthetic, all bucolic wonder and unfettered elation, here Tare appears as if confronted with an alien spectacle: he’s got something on his mind (his wife, his absence from her life, his longing for her embrace) that renders him unable to crib off the dancer’s joy. Tare simply cannot reconcile his own sadness with a space where another human can be so happy; anyone who has experienced any degree of depression would surely understand this, and marvel accordingly at the turn that follows. A classic escapist incantation (“If I could just leave my body for the night”) announces a rapturous sound blast, the plaintive haze of the song’s opening minutes exploding with drums and synthesizers. Tare consoles himself in tune, seeing the dance anew: “Then we could be dancing no more missing you while I am gone / Then we could be dancing and you’d smile and say I like this song / And then ours would meet them we will recognize nothing’s wrong." (Before I took the effort to look up the lyrics I had misplaced that first line, hearing it as “Then he could be dancing over missing you all along,” a line that I prefer to the one provided and have come to consider as an incidental nuance to the actual lyrics. At points the singing style, the full mouthed annunciation, seems to invite this kind of alternate hearing, this accidental multi-valence). On In the Flowers, Avey Tare chooses creativity and empathy over bitterness and jealousy, refracts his sadness into tribute, takes the lemons he's been sitting on, squeezes them dry, quenches his thirst, and blows his own mind. Domesticity and romance have never sounded as ecstatic and radical as they do on Merriweather Post Pavilion. I never imagined myself as the kind of person who would swoon over a song about wanting nothing more than a house for the wife and kids, but boy do I swoon over My Girls. Such is AC's knack for de-familiarization, for projecting the seemingly banal through the prism of aural love. For as long as their lyrics have been (relatively) audible Animal Collective have written about peering at the little things in life with your third eye, and these circus mirror creature comforts have never seemed as urgent and splendid as they do on Merriweather Post Pavilion. This ain’t your daddy’s growin’ a lil' older n’ gettin’ a lil wiser record. Not by a hot mile. It is no surprise that the rise of Animal Collective’s star has coincided quite neatly with the group’s mounting interest in (relatively) conventional song form, a development to which MPP is a momentary apex (of course, this peak may very well be a red herring: like each recent AC record, this one begs the question: where the hell will they go from here?) I think that the Beach Boys comparisons, inadequate as they may be in fully reckoning with the whole muse of this group, have been a way of articulating the band’s embrace of more palatable modes of song and composition, a shift that was first announced with 2004’s Sung Tongs full length. While it is a misleading to impose a trajectory of "evolution" on a band that stubbornly resists aesthetic stasis, that re-imagines its own sound with every subsequent offering, both Sung Tongs and MPP appear as prominent turning points, records where Animal Collective’s balance of soundcraft and songcraft are radically revised. That said, it is a testament to AC’s unwillingness to rest on anything resembling the formulaic that Sung Tongs and MPP sleep head to toe despite their shared implications. On SungTongs the vocal tracks bleed as their own music, more textural than communicative. By contrast, MPP is easily the group's most lyrical record, with the vocals forwarding an impressionistic, piecemeal pseudo-narrative while maintaining their instrumental weight, syllables both meaning and gleaming. Where Sung Tongs stretched a small handful of ideas and flourishes into a larger work through the force of entranced repetition, MPP commands a diverse and seemingly inexhaustible catalogue of sounds and stacks them high, the sheer weight of their sonic language defying its own gravity, like a Babel collapsing in reverse. Of course, this new album’s most glaring retread from its predecessors is its instrumentation. On MPP the guitars that were so prominent on Sung Tongs have all but evaporated; if there are any strings present, they are so heavily treated that they bear none of the earthen timber that was an essential texture in the group’s earlier music. MPP is a dense studio record with a prominent synthetic pulse, but AC does not jettison warmth by leaning ‘lectronic, instead defying the sterility associated with its own techniques. Where the likes of Kraftwerk, Ministry, and Nurse with Wound often flaunt the inhumanity of machine music, on MPP Animal Collective stake a claim in the other direction, unlocking a human potential in each knob that they tweak, casting a sonic sensibility whose romance mirrors the album’s lyrical fascination with the rapture of the small and commonplace. This is Meadow Machine Music. Autobalm. The premise of MPP as Animal Collective’s “pop” gesture will likely dog the record as its merits and significance are weighed in words over the coming weeks. But for AC pop – like drone, gospel, surf, avant-garde, soul, minimalism, electronica, ambient, and dance, all of which inform this record and none of which come close to defining its whole music -- is simply another way of carving a sound, not a sanding off, a mere compromise of inclinations towards strangeness and obscurity. For this group pop is not an end in and of itself but a medium, a portal on forward towards the new. It's as difficult to imagine Animal Collective congregating with the express purpose of making their “perfect pop masterpiece,” as legend tells us Brian Wilson did when dreaming up Pet Sounds, as it is easy to see them laughing in sheer bewilderment at the tense anticipation of their latest labor of love. Today maker myths take mere nano-seconds to germinate, and though the turnover is great for our typing chops, I often wonder what it has done for the love of listening. Where the ghosts of great albums past take on larger-than-life status in retrospect, beginning with the music and ascending backwards into a formidable history of heard magic, today the music itself often appears secondary to the aura of magnitude and universality that tends to materialize without warning, instant and microwave safe. MPP had aura to burn long before most of us heard it, but now those of us who have heard it and do love it know that this music will not be content to stand idle on the margins of tuneless hype. Time may very well lend Merriweather Post Pavilion a legend extraordinary enough to faithfully capture its myriad treasures. 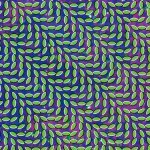 By the time that happens, if it ever does and if we could even tell, Animal Collective will be somewhere else entirely, stoned and oblivious, making something new.